The U.S. Supreme Court has refused to hear the appeal of a Tempe man who said a long–standing restraining order violated his First Amendment rights and should be dissolved. The court without comment Monday declined to take up Michael David Sebba’s argument that Arizona law, which let a judge impose a one-mile buffer around a former neighbor and her family, was unconstitutional. But the high court’s decision is not the end of the fight for Sebba, who was convicted last year of felony stalking and aggravated harassment in connection with the dispute. His attorney said Sebba, 61, would press the issue in state appeals of his convictions. 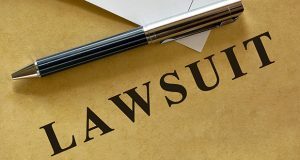 “We anticipate to pursue our legal remedies through the appellate process as they apply to the criminal cases pending,” said the attorney, Michael P. Denea. Attorneys for the neighbor who sought the protective injunctions against Sebba did not return phone calls seeking comment on the case. Because they could not be reached, Cronkite News Service elected not to name the woman. The two were neighbors in June 2003 when a dispute arose over a playground that their homeowner’s association placed in front of Sebba’s house, according to Denea. The dispute turned into what the woman called, in court documents, an obsession by Sebba with her family. She requested the first of several restraining orders against Sebba in 2003. When she and her family moved in 2004 and 2005, specifically to get away from Sebba, she said he followed them to their new homes, according to court filings. A total of six restraining orders were filed between 2003 and 2008. In 2008, a Maricopa County Superior Court judge ordered that Sebba stay at least one mile away from the woman and her family at all times. Sebba was also told to stay away from her workplace, home, her children’s schools and the Tempe Public Library. He was also prohibited from having direct or indirect contact with third parties associated with the woman except through her lawyers. The order was reinstated on Dec. 1, 2009. Sebba complained that the one–mile zone was excessive and sought to have it dissolved, saying it infringed on his First Amendment rights to speech and conduct. 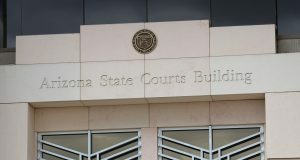 The trial court refused to lift the restraining order and the Arizona Supreme Court declined to take the case in June. The U.S. Supreme Court did likewise Monday. While the challenge was pending, Sebba was charged with felony stalking and aggravated harassment charges after the woman said he jumped into an elevator with her at her workplace and called the owners of her office, according to court filings. He was convicted of both charges in May 2010 and sentenced in August 2010 to four years in prison. That’s just weird! I knew the Sebba family, and they were very nice. The other woman made him act so frazzled because she kept on demanding that the playground should be taken down, even though Sebba’s kids loved to play on it! And, he really did nothing wrong! Jumping in an elevator with her, is that so bad? And four years of jail? When people go to jail, it’s for killing someone or something else, but being in an elevator with someone? That’s NOT A CRIME for crying out loud! A group of House members Tuesday demanded that Attorney General Eric Holder step down for his handling of the controversial Operation Fast and Furious.